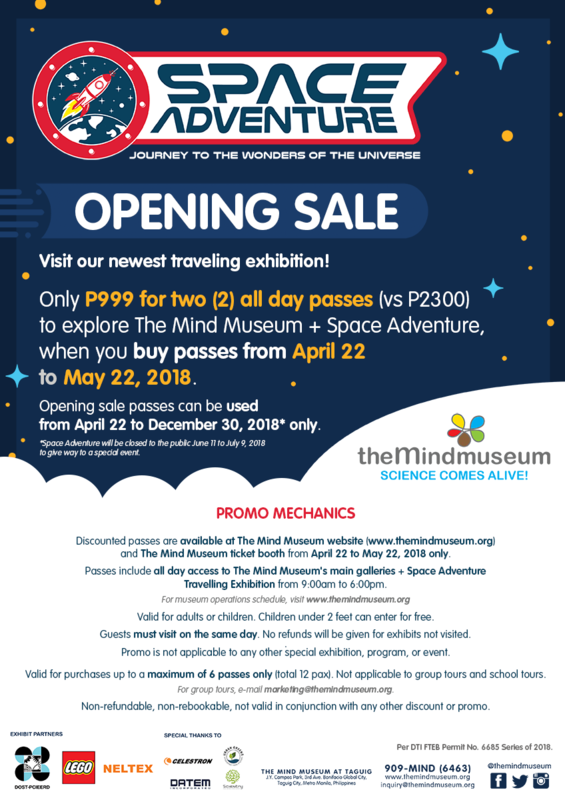 Mind Museum has always been a great place for me to bring the kids. It is a day well spent, bonding with the kids, while learning through the different exhibits they have to offer learners from 2 to 102. 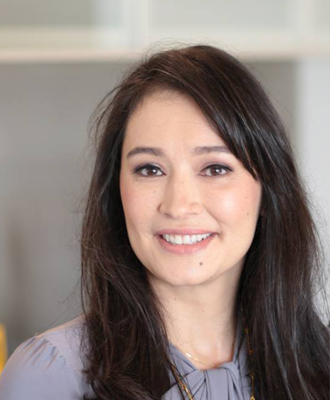 It really doesn’t matter whether the kids are big or small, we can always have fun exploring how things work and why they do the things they do. 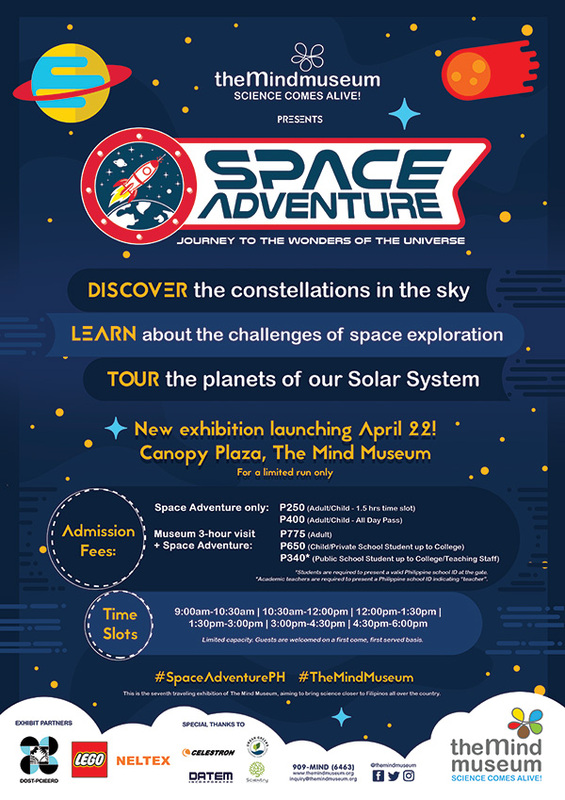 This is the reason why I am excited to visit the new Space Adventure exhibit which just opened on Sunday. This new exhibit has so much relevance for us as a family because we get to explore outer space together. Nino is a Trekkie. We have been watching Lost in Space on Netflix. And the kids have always been fascinated with the sun moon and stars. Space Adventure: Journey to the Wonders of the Universe offers our family three different areas within the exhibit to learn more about our place in space. This collaborative exhibit opened on April 22nd and offers inquisitive learners the opportunity to learn experientially and through pretend play. 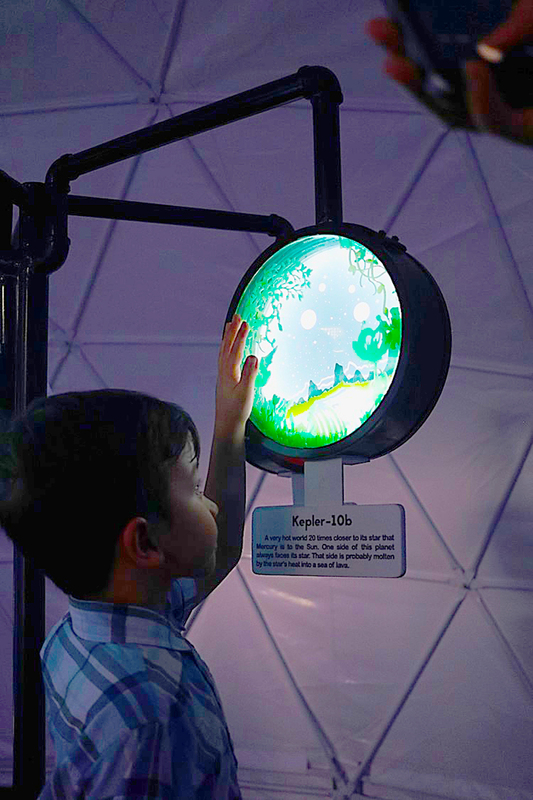 With interactive spaces and play areas that will even engage Gelli, who still forming her understanding of Mother Earth and the planets in our Solar System. In this part of the exhibit, the kids will learn about our links to the stars. They will learn about stars and constellations and can get creative through drawing, while marvelling at the Cosmic Calendar. They can even further their understanding of the Big Bang Theory. 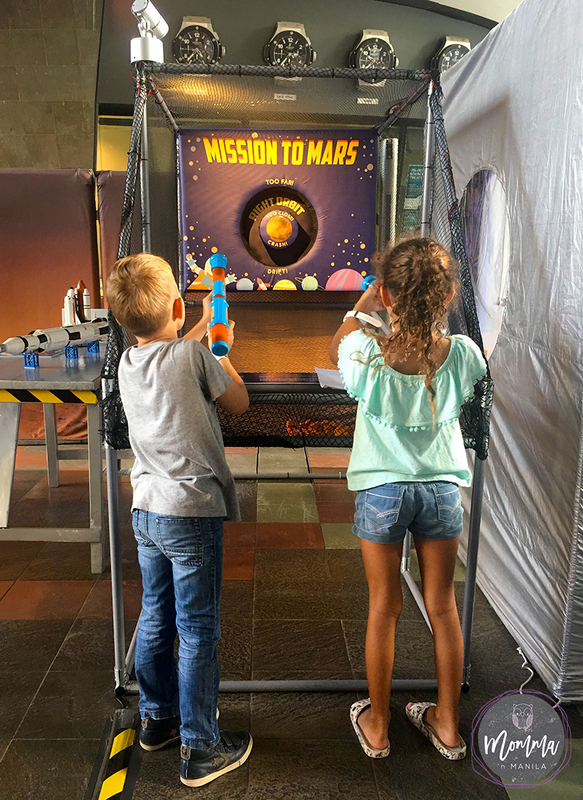 This part of the exhibit explains why Pluto is no longer considered a planet, the differences in all of the planets are our neighbors, and they can even have fun guessing their weight on each of the planets due to the gravitational pull. 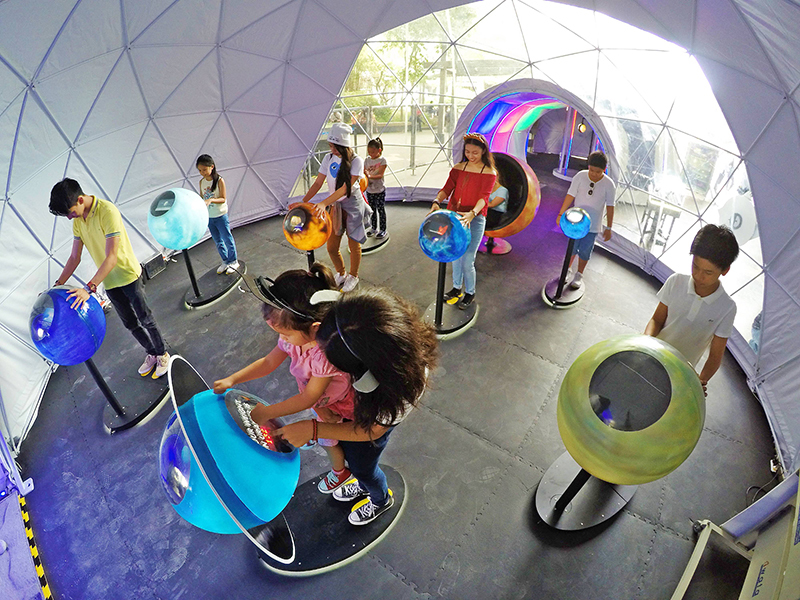 Each of the domes in this part of the exhibit offers guests more to learn about outer space (and our place in all of it) and if you are a Trekkie, you can even even play with the illusion of the Teleporter through mirrors which give the illusion of floating in SPACE! 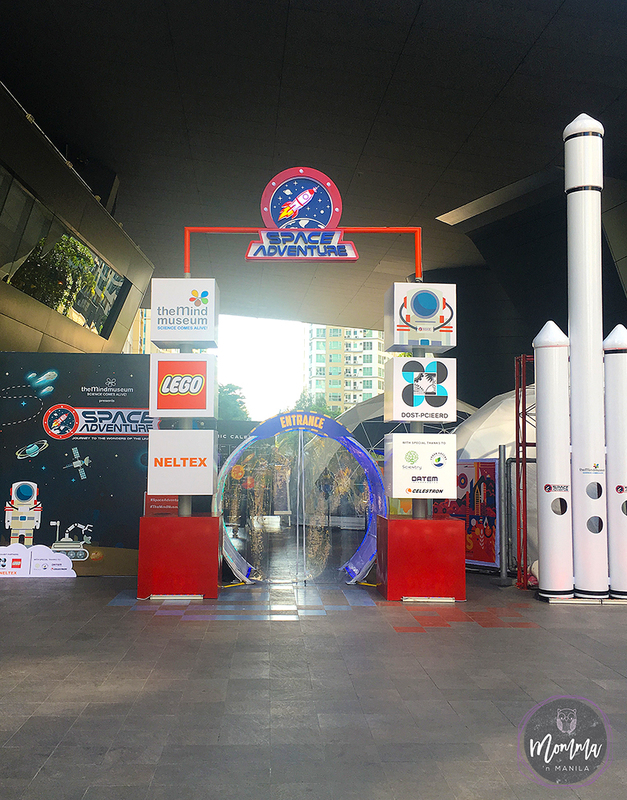 This hands on learning center will encourage kids to “launch rocket balls” and set young astronauts on a journey to Mars. 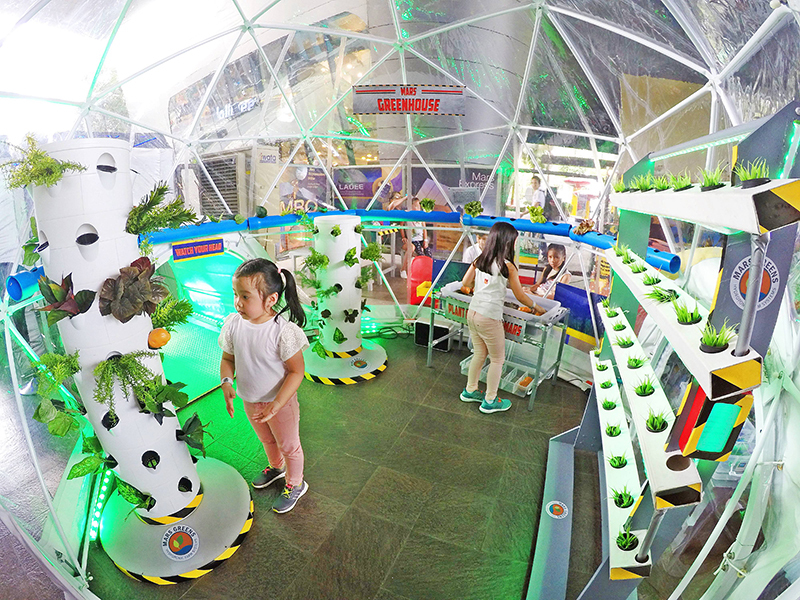 Through the different modules, kids can create an understanding of what it would be like to live in a space station on Mars, complete with suiting up for the experience in their astronaut jackets, cooking a meal in their own makeshift space kitchen, and growing their own food in a greenhouse set for the environment. 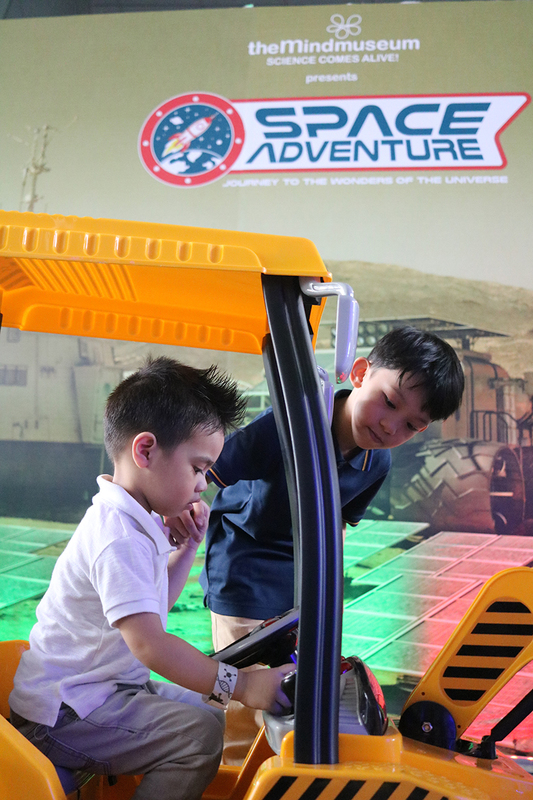 While I did not have the chance to bring the little ones to the exhibit opening which was for the press and media, I do have plans of bringing everyone back for an afternoon of fun in the Space Adventure Exhibit. 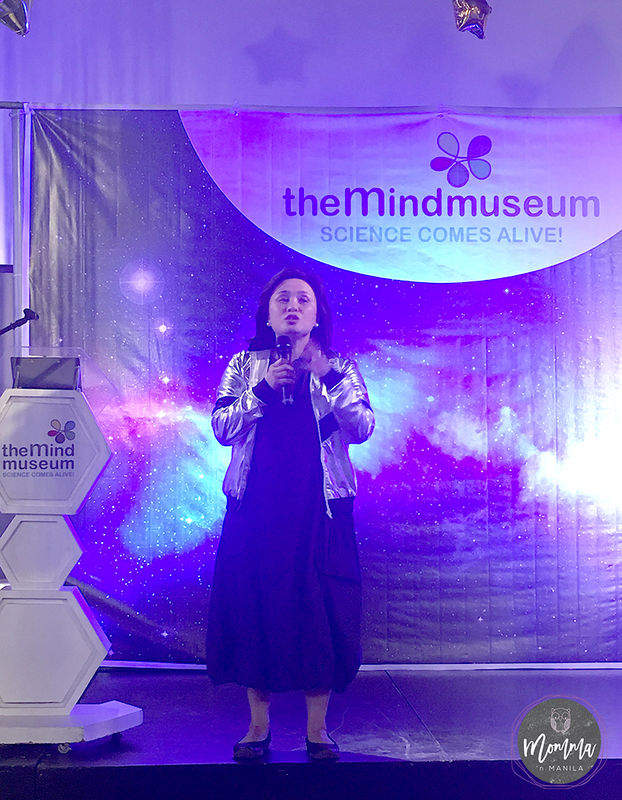 During the launch, Maribel Garcia who is the curator of The Mind Museum shared some fun reasons why we all should visit the exhibit, but don’t take my word for it. (OR HERS) Visit with your kiddos and you will be able to see the wonder and awe created by understanding the home we make here in our little corner of the universe. PLUS: If you buy your tickets now, you can take advantage of their Opening Sale. This looks like an amazing deal and one that we should all take advantage of. GO NOW, and take advantage of this sale! You can buy your tickets and then save them for a day when it’s convenient to visit with the family!